in just 5 days from CA. 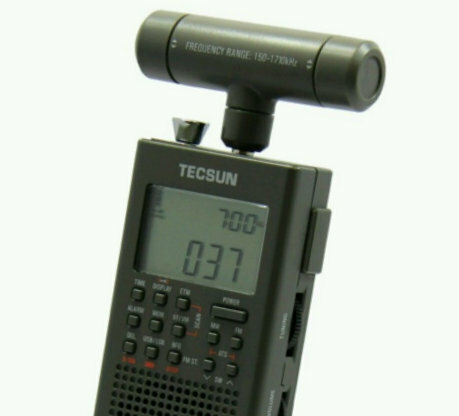 The radio is manufactured by Tecsun and is similar to the Tecsun PL-365, but re-engineer end to military standards for use in embassies and military installations around the world. The case is a heavy plastic that feels like anodized aluminum. 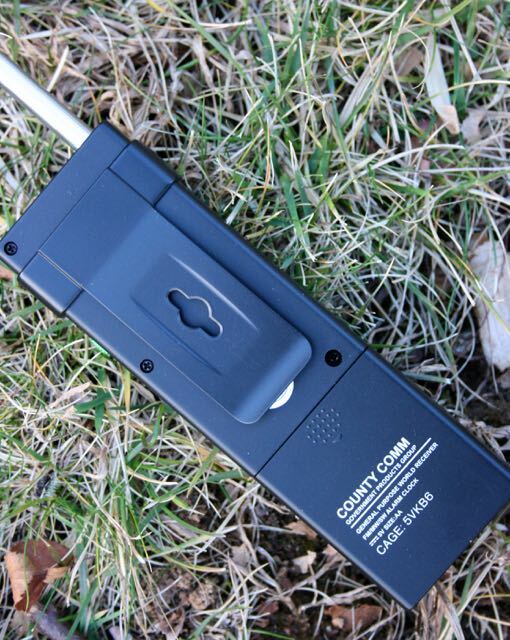 It’s about the size of a small TV remote control, taller than a cell phone, and about 1/2 the width of an iPhone. Very, east intuitive menus. Incredibly sensitive to dx, relatively good selectivity. 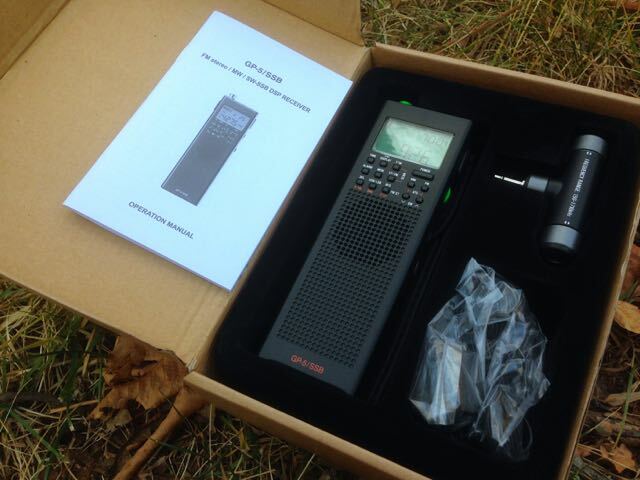 A great radio to throw in your travel bag or briefcase. So small that no one, especially customs, TSA, etc would even suspect it is a shortwave receiver with SSB capabilities. I live in a very highly QRM and RFI interference zone. I’m in the central city, in an old 1920’s hi-rise, with high power tension lines right next to the building. Lots of QRM from the elevator motors, etc. Having a good antenna option is a challenge. I’ve resorted to a stealth longwire antenna, strung out my 5th floor window. It’s 50′ of #16 black insulated copper stranded wire, weighted by a medium size galvanized carriage nut. It seems to work well. I also use a Magic Wand shortwave antenna, a type of broomstick antenna with 23′ of lead-in, available from Lowbander on eBay. My main receivers have been a Sony ICF-SW7600GR dual conversion receiver and the SRDPlay. In the past, I have listened to dx with some really outstanding receivers, including a Nordmende Globetrotter, a National NC-183D, a Japan Radio JRC-525′ and a Yaesu FT900AT transceiver. The later two were computer-controlled using TRX-Manager software. In just 4 days, I can’t get over the sensitivity of the CountyComm GP-5/SSB and it’s ability to pull in stations. 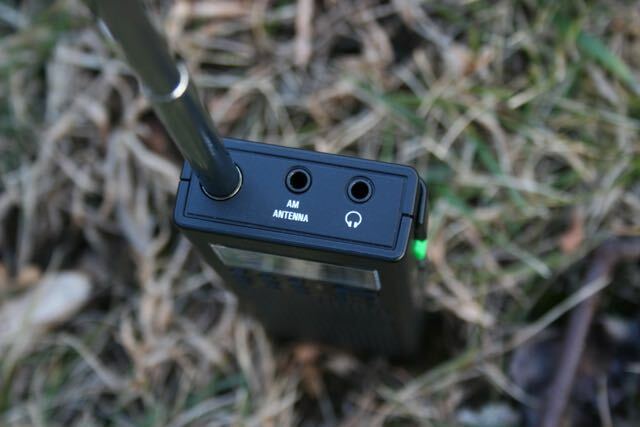 So far, it’s far superior to the Sony or SDRPlay. Digging into the specs, it is a direct conversion receiver, using a DSP si47XX microchip from Silicon Labs to digitize the analog AM/FM broadcasting signal base on modern software technology and radio principles. The direct conversion circuitry can highly improve a radio’s sensitivity, selectivity, S/N ratio and anti-interference capabilities. Direct conversion using software is far superior to a double or triple conversion traditional IF circuitry. This must explain why the unit is so amazingly sensitive! 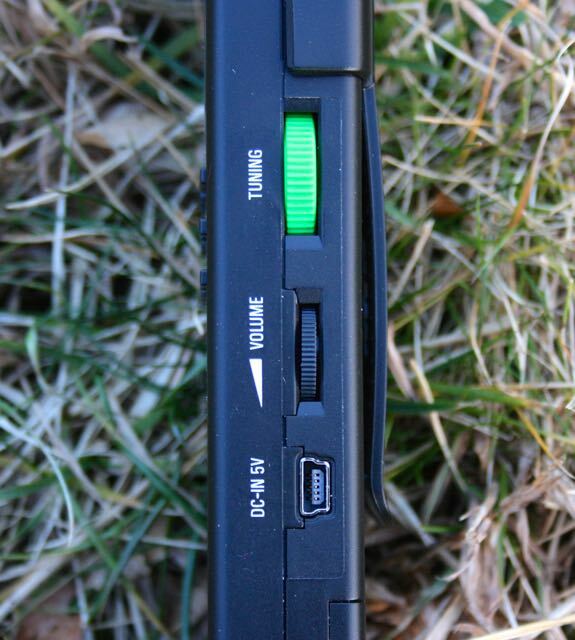 I can hear things on this unit that I can’t even begin to hear on the Sony or the SDRPlay. The FM reception and sound with earphones is amazing and LW and AM reception is equally sensitive. I can easily get WLW Cincinnati 700 kHz in the daytime here in St. Louis! There are 550 preset memories: 100 for AM, 100 for FM, 100 for SSB, and 250 for SW. You can scan the memories or scan the bands in various ways. You can also use the Auto Tune Storage function to store memories. Something I really enjoy is the Easy Tuning Mode function. The ETM function allows you to tune into stations easily and temporarily store them into the ETM storage. 100 stations for FM/MW and 250 for SW. Scanned stations will not be stored in the regular 550 memories, but will remain in the ETM temporary storage until the next time you do an ETM scan. This is a great feature for travel. When you are in a different city, you can perform the ETS function and this will not delete any of the stations already in the memory. Thanks for sharing your review, Larry. 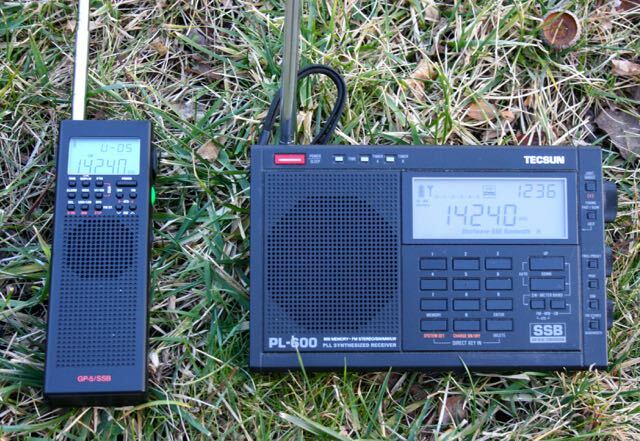 I use the GP5/SSB all of the time–it stays in one of my vehicles and I often use it for walks, picnics, camping and even a little parking lot DXing. I suspect if your SDRplay RSP was hooked up to an antenna that could better mitigate your local QRM, you’d find it outperforms the GP5/SSB. The great thing about portables, though, is that you can simply take them to areas with low noise levels. It’s just a matter of finding the right location! 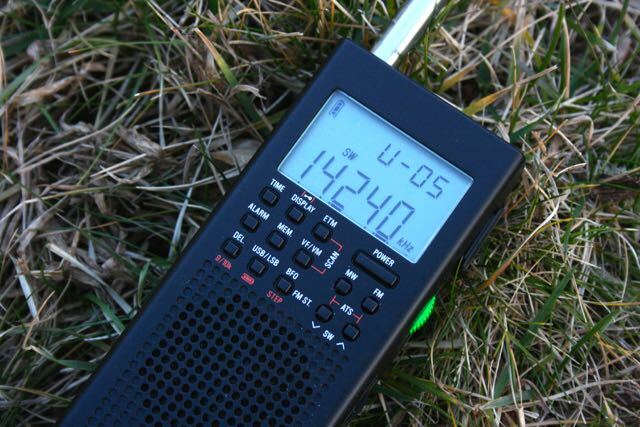 The CountyComm GP5/SSB is a very handy portable. Thanks again! 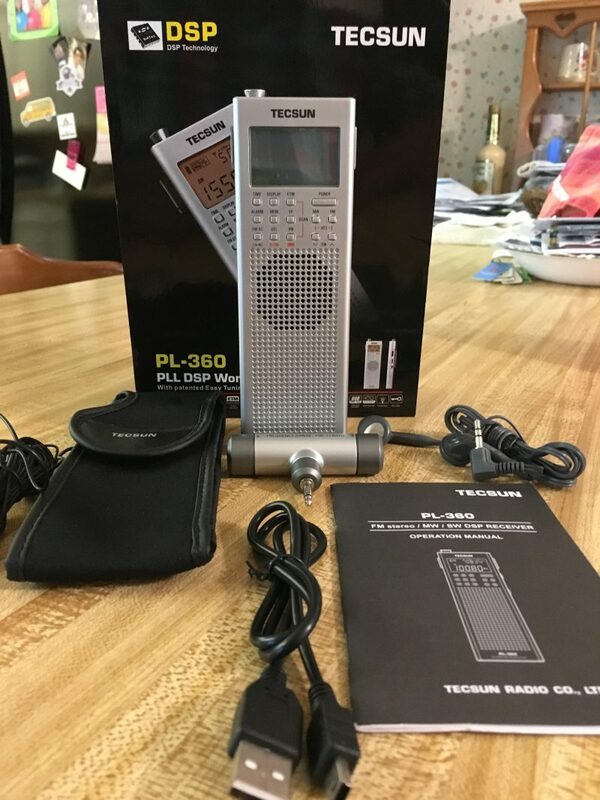 The Tecsun version, the PL-365, can be purchased on eBay (though be aware that some sellers have BuyItNow prices almost two times the price of CountyComm). 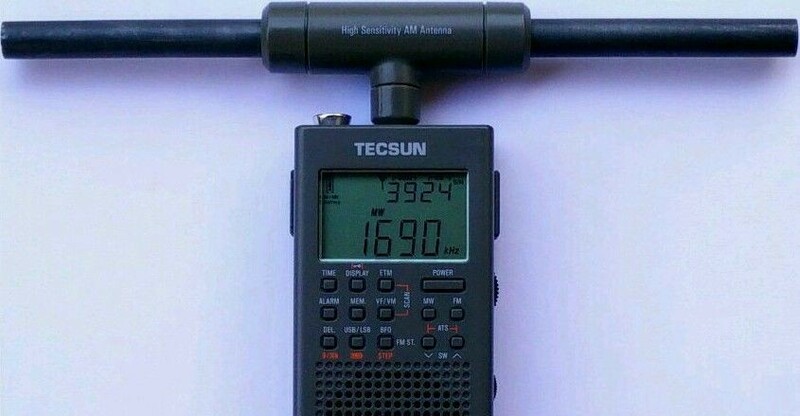 This entry was posted in News, Portable Radio, Radios, Reviews, Shortwave Radio, Shortwave Radio Reviews and tagged CountyComm, CountyComm GP5-SSB, CountyComm GP5/DSP, CountyComm GP5/SSB, CountyComm GP5/SSB review, GP5-SSB, Shortwave Radio Reviews, Tecsun PL-365 on February 28, 2016 by Thomas. of the band, just as the builder said, compared to the stock plugin antenna. plugin to being quite readable–well above the noise. since it never did track on USPS. Good seller, reliable email, good antenna that works as claimed–no problem here. Thank you so much for the report, Ron! 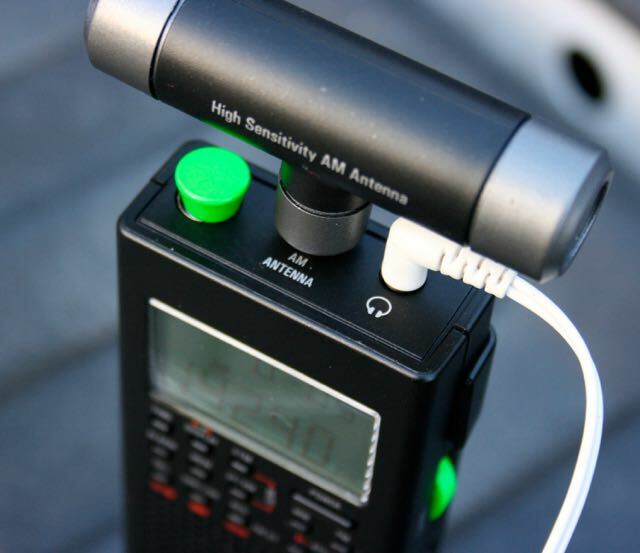 This entry was posted in Accessories, AM, Mediumwave, New Products, News, Radio Modifications, Radios, Reviews and tagged CountyComm, CountyComm GP5-SSB, CountyComm GP5/DSP, ferrite antennas, GP5/SSB, PL-360, PL-365, Tecsun, Tecsun PL-365 on January 16, 2016 by Thomas.